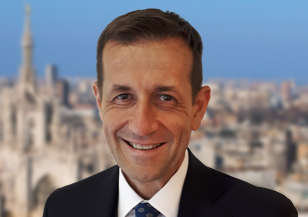 Based in Milan, Nicola Pelà is a member of Spencer Stuart’s Human Resources, Consumer, and Healthcare practices, and the firm’s Leadership Advisory Services. He works with a wide range of organizations across sectors on executive assessment and development, as well as corporate culture assessment and dynamics. Nicola worked in the human resources and corporate social responsibility realm for more than 30 years and has expertise in sectors including information technology, automotive, aerospace, consumer, healthcare and fashion. Over his career, Nicola has lived in the U.S., Italy, Belgium and the U.K. He has worked for global organizations including Olivetti, Fiat, Barilla, Luxottica, Benetton, GSK, Eli Lilly and Walgreens Boots Alliance. He’s worked with these companies both in executive capacities and as a board member. Prior to joining Spencer Stuart, Nicola served as chief human resources officer at Luxottica for nearly 11 years. Recently, he has also performed as an operating partner in private equity projects. Nicola holds a bachelor’s degree in law from Ferrara University and a master’s degree from CUOA in Vicenza. He speaks Italian and English.